With the May Two-Four upon us, there’s a couple of unconventional wits to enjoy with the outdoors. First up is the Flying Tanker White IPA, which is a hybrid of the Wit and IPA styles. 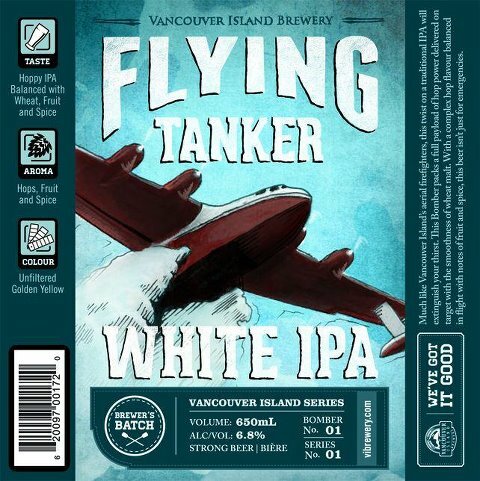 Vancouver Island Brewing told the Alberni Valley news that “Flying Tanker IPA is the first bottle in our Vancouver Island series to be released — we’ve got a whole series of beers tied to Vancouver Island icons planned”. Second is Parallel 49 Brewing’s Seedspitter Watermelon Wit. This is their first brew, and they’ve launched it just in time for Vancouver Craft Beer Week. Bottles should be available shortly and they’ve got three other brews that will be available soon. 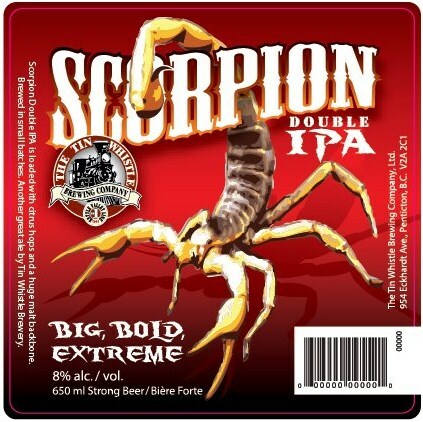 Tin Whistle Brewing Company has released their new Scorpion Double IPA. They’ve been brewing since 1995, so it’s about time they threw some more hops into the mix… and why not make it a double? This was supposedly a big hit at the Okanagan Fest of Ale, and should be available in BC Liquor stores soon. Steamworks Brewing Company recently brewed the Copper Roof Ale in honour of the Vancouver Sun’s 100th Anniversary. Check out Randy Shore’s online article and video clip with some good discussion with the brewers. Speaking of ESBs, Driftwood’s Naughty Hildegard is back. This year they’ve returned to Pacific Northwest hop varieties (the 2011 had UK hops), which I believe make this a truly epic West-Coast ESB. Coincidentally, Pope Benedict has now officially recognized Hildegard von Bingen as a saint. For those in Ontario, the LCBO’s Tree Brewing feature is starting to hit the shelves. This includes the Hefeweizen, Raspberry Porter, Captivator Doppelbock, Hophead Double IPA and the new Hophead Black IPA. This has already sparked some discussion in the forums. Their Duke’s Cider is on the LCBO shelves as well.